Some of my closest friends have heard about this theory of how men and women act, and it might be the funniest thing ever! I cannot take full credit for this, I heard the analogy from a man that visited my seminary class in Preston, Idaho. He spent his life studying the behavior and personality of how men and women think. I have taken this into account and have added my own spice and experience to this. I hope you enjoy the first part of this full perspective on men and women. Guys are like waffles. Now I am going to briefly describe what I mean, imagine a waffle in your head right now, there are a bunch of squares. 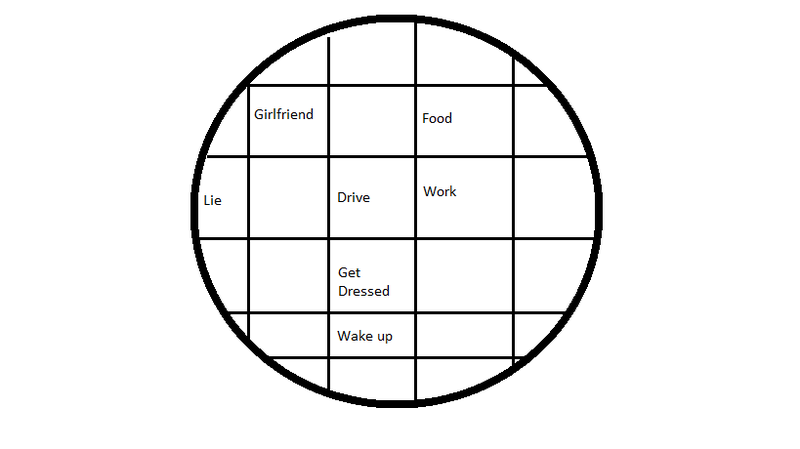 Now, a guy has a very basic, simple based mind that operates like these little squares. 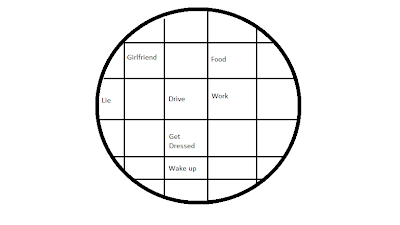 Each of these squares is a thought that can occupy a man's mind one at a time. If you were small enough to fit in a little square in a waffle, you would be trapped inside because there are 4 walls surrounding you. The same goes for a man's thoughts, they can only be in a square at a time. This is why multi-tasking is really tough for a guy! They have to jump back and forth in different squares to do it! I will now give you a short story to solidify the point. So, Jeffrey wakes up. He gets dressed. He drives to work. He works. He gets hungry and stops at a fast food place while driving home. He pulls over to think about his girlfriend, (He didn't want to wreck while thinking about his girlfriend, that is too dangerous.) So he drives to her house. When he gets there the first thing Sofia says is: "I have been thinking about you all day, did you bring some food for me?" (Now, we all know that he didn't think of his girlfriend until after he got food! There is no way that he thought to buy her food! But he knows that if he doesn't give her something, she'll know he wasn't thinking about her; and she was the one thinking about him all day. What does he do? He goes into lie square.) "Of course baby, I brought you home so McDonald's cause I thought you would be hungry :-D" So Sofia says, "You are the sweetest boyfriend ever, but you know I don't like onions!!! I thought you would know that by now!" Jeffrey got owned. My next blog will be about how girls are like airplanes, tune in next time for part 2.